Deciding on a location for your engagement photos is no small task. 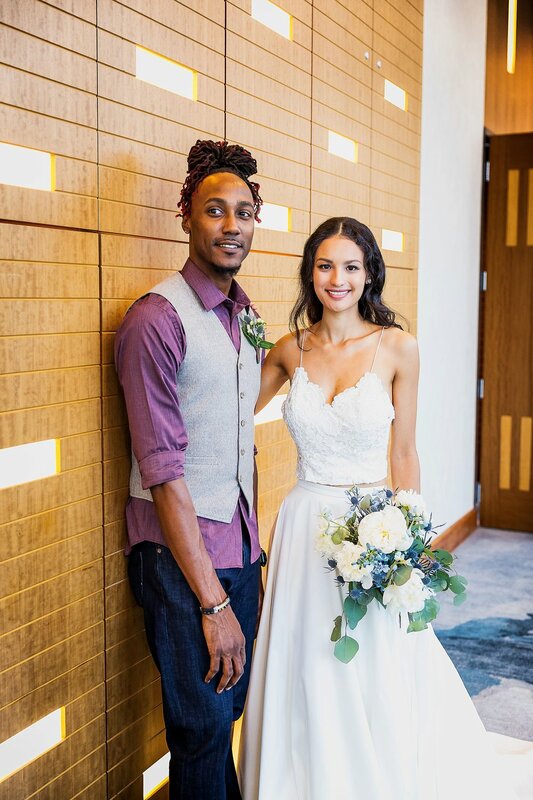 The Hampton Roads area has so many incredible venues that would be beautiful for any bride but you can’t seem to find one that perfectly suits you and your significant other. Here’s a list we’ve compiled of our favorite backdrops for a little inspiration. Every winter, Town Center of Virginia Beach transforms into a dazzling winter wonderland. The Fountain Plaza is blanketed in twinkling lights. The stores unveil their annual holiday window displays. The office tower lights are a festive red and green. There is tinsel trim and Christmas trees seemingly around every corner. And, did we mention the “Coeur de Noël”? This glittery, enchanting 503 pound ornament in the Fountain Plaza is the perfect back drop for any wintry photo shoot. The official name is “Coeur de Noël”. The ornament was designed with over 11,000 LED lights in Le Mans, France. There are only 12 in the United States and only 50 worldwide! The closest one to Virginia Beach is in Fort Myers, Florida. This twinkling globe isn’t the only picturesque installation in Town Center - check out their 34 ft. high Christmas tree too! Colder temperatures transform Town Center’s Fountain Plaza fountain into an icicle masterpiece! Talk about a beautiful backdrop. This fountain typically freezes over in the later winter months like January and February so a little bit of planning is definitely necessary. 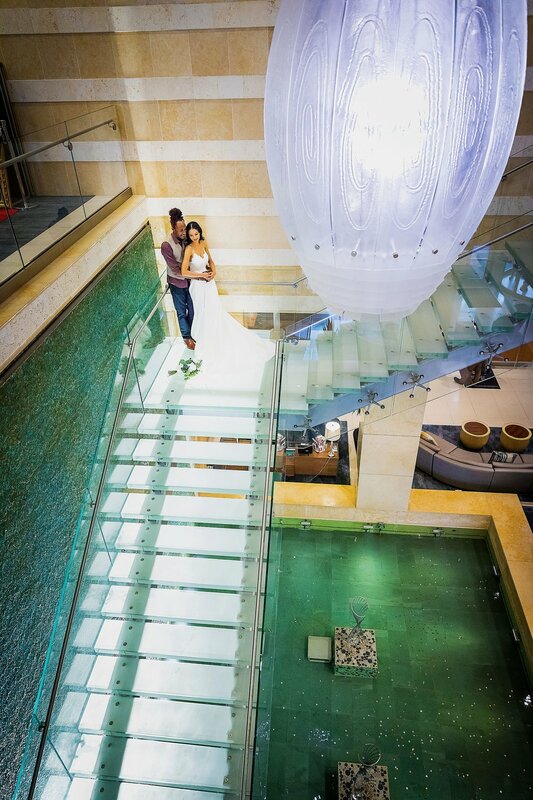 The Westin Hotel and Residences has a breathtaking lobby if you’re looking for a more modern look to your photographs. The Kiss, by Gary Aslum, is a well-known bronze statue within Town Center that features a couple kissing on a bench! Positioned next to Central Park Lake, this installation provides a romantic backdrop to what will naturally be a breathtaking photo. Looking for another modern cityscape for your backdrop? The new Zeider’s American Dream Theater has beautiful stairs with accent lighting giving an incredible location for photographs. Whether you prefer to take them at night or during the day, this modern stairway is sure to wow!